You know, i suppose I could drive you a few more hundred yards. I’ll admit it. 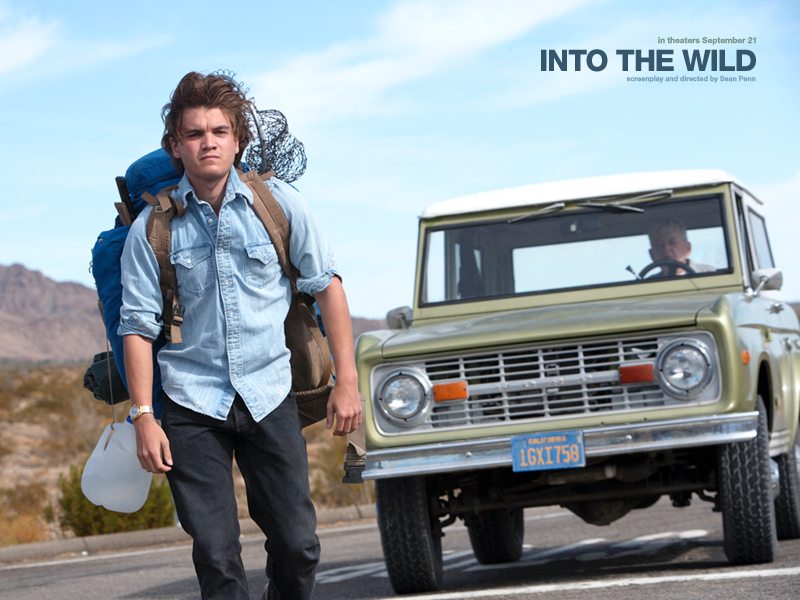 I’ve been sitting on Into the Wild for at least a week, and watching it felt a little bit like a homework assignment. I knew what was coming, having read the Jon Krakauer book years ago. And even though I had largely avoided the reviews, I had a sense of what was coming: Lots of rapturous shots of a man in the Wilderness. Not to criticize Sean Penn, who had a real sense of what he was trying to do. But it’s too easy to hold Chris McCandless up as a cure for all that is wrong with the world. The kid was a dreamer, but if there’s a reason why the story of Icarus has been a legend for more than 2,500 years. If you fly near the Sun with wings made of wax, guess what happens? And if you move out to the middle of Alaska with few supplies and a belief you can live off the land even though you have never done it, guess what happens? That being said, for a movie about isolation, Penn does an admirable job of showing the human relationships that McCandless established on the road before his fateful trip up North. And he has a real feel for the less-than-perfect dropouts from mainstream society. A sequence where McCandless lives with two surrogate parents in a barren stretch of California known as Slab City is particularly resonant, as is Hirsch’s widely praised interaction with a tender, lonely Hal Holbrook. But it makes it all the more frustrating that the protagonist’s decision to leave people behind once he’s created the bonds for which he was obviously starving is poorly understand, by the people who knew McCandless and by the audience. And while you wish the ending would be transcendent, a moment that encapsulates all that is gorgeous about the mystery of existence, you can’t quite escape the feeling that you are watching a story about a guy who was crushed by his car fixing a flat tire because he didn’t know how to jack it up correctly. My guess is that there is a large generational split among people who have seen this film. Just like that there’s a certain age when you should read “On the Road,” and then there’s a certain age here you can’t. This entry was posted in From the Queue, Uncategorized by James Oliphant. Bookmark the permalink.